Within the urban regeneration project on a cultural base promoted by Terzo Paesaggio for the neighborhood of Chiaravalle in Milan. 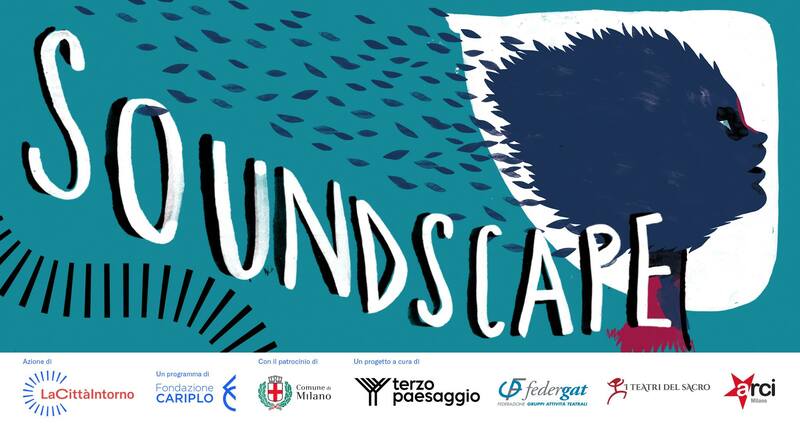 #NuoviPaesaggiCulturali a project by Terzo Paesaggio, Federgat / I Teatri del Sacro and Arci Milano. 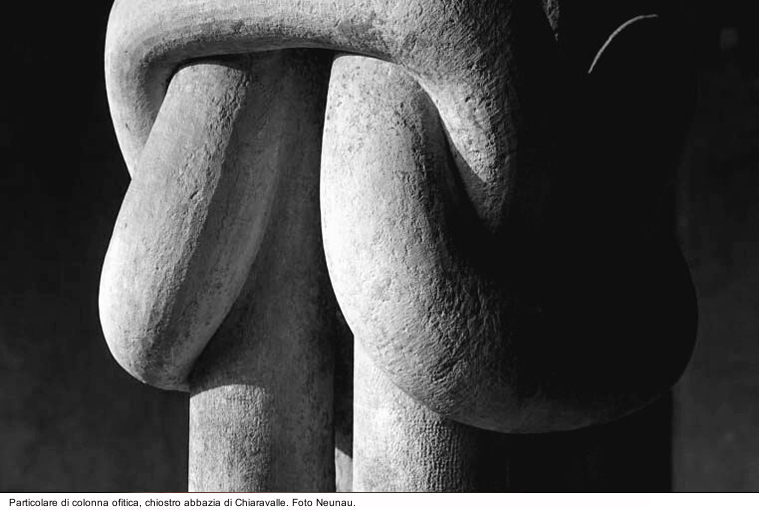 Under the patronage of Comune di Milano – Cultura and MiBACT European Year of the Cultural Heritage. Lacittàintorno. The cross-cutting program focused on urban regeneration , intended to improve urban living thorugh different actions, culture and creativity, starting from Milan. Sound flows through the landscape, exploring and transcending it. Listening exercises on the move, sound performances, audio installations to guide you through the territory of Chiaravalle. 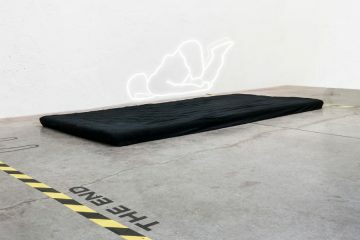 A tale of thresholds and noises emerges to initiate a new perception of the landscape: inhabited and abandoned places, are reawakened through remembrance and contemporary artistic interventions. On the threshold of the outskirts of the city, four performances are created specifically for the site of Chiaravalle. A group of artists active in sounds and performance experimentation, each in his own field of research, has responded to the call of the site of Chiaravalle. Acoustic raids are unique moments of active listening that – through the use of speakers, microphones, cables, audio devices, voices and bodies in motion – are reactivating the memory of those who live today and those who have left a subtle and indelible trace of their passage over time. 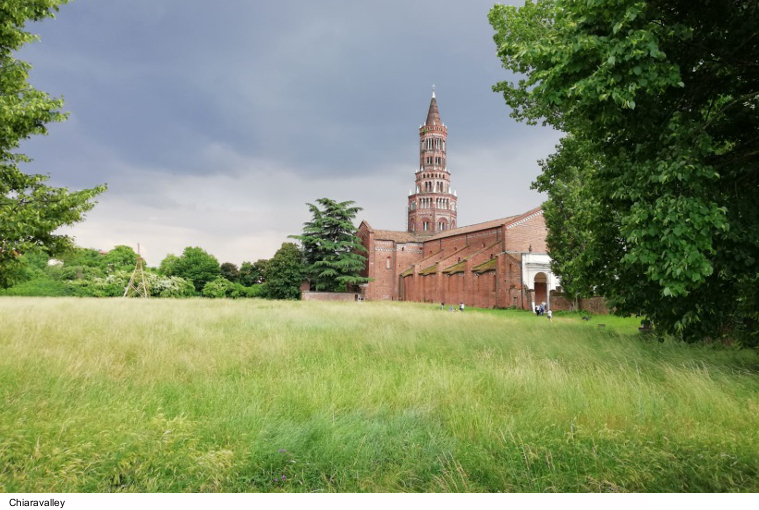 On June 24, All Bodies End in Silence, a series of sound performances and listening pieces by Davide Tidoni will be presented in the outdoor spaces surrounding the Chiaravalle Abbey. 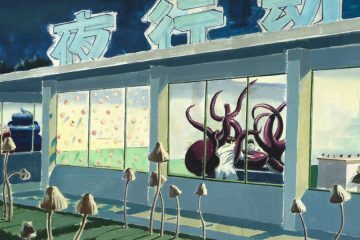 The evening will be based on artist’s current research on sound, space, body, and will function as metaphors illustrating issues concerning human relations, space interaction, and physical contact. 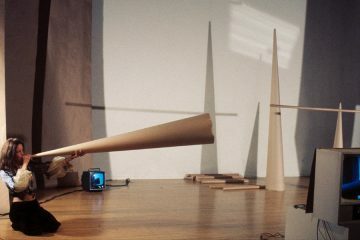 Sound is used as an experiential/conceptual backdrop for exploring individual/collective agency and attentive listening. Davide Tidoni is a researcher in the field of sound and listening. He’s interested in the relational dimension of listening and the uses of sound in everyday life. 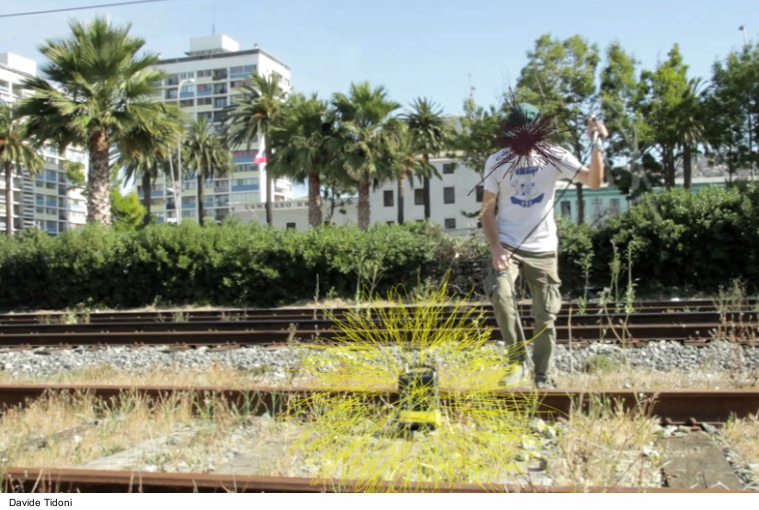 With a particular emphasis on observation, action and participation, he realizes a variety of works that include site-specific interventions, live performances, workshops and audio recordings. 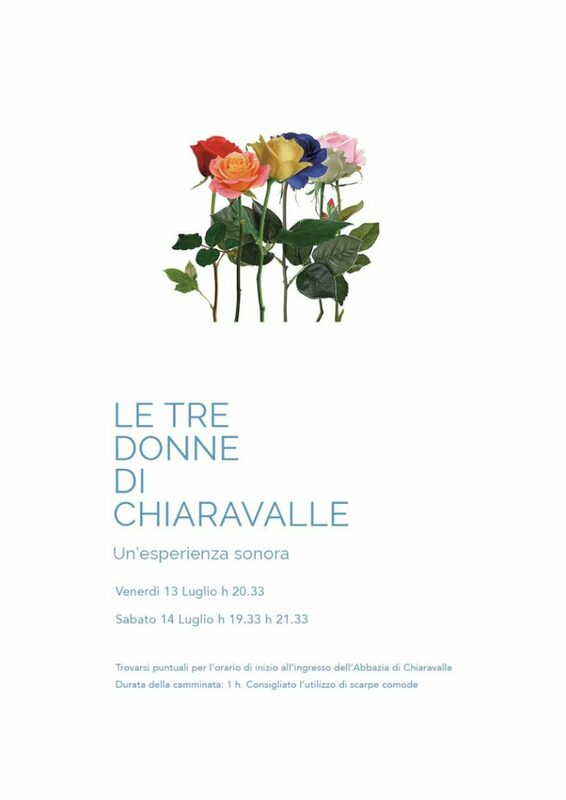 On 13th and 14th of July Caterina Gobbi will present Le Tre Donne di Chiaravalle. Through the use of sound as a sculptural element participants will be guided in a tale where sounds and performative actions, noise and harmonies will give form to the physicality of memory and the interaction between reality and fiction. Historical hints from diverse eras will be layered in relation to the present warping the temporal perception of the public. 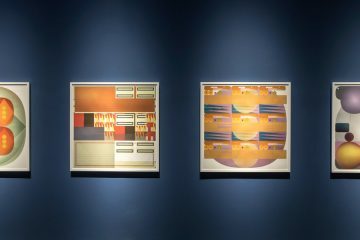 The texts and tales of three visionary women – Ildegarda di Binden, Guglielma la Boema e Antonia Pozzi – whose stories are deeply rooted within Chiaravalle’s cultural history will find interpretation and manifestation through installations inhabiting the landscape. As when everything else vanishes, all that is left is landscape. Caterina Gobbi lives and works in London where she is graduating from an M.F.A at the Royal College of Art. Herpractice roams around themes commonly associated with affect theory particularly investigating feelings and their social and interpersonal manifestations through the body. She produces interdisciplinary artworks that sit within the realm of sound, performance, installation and sculpture. The Inner Voices:A CONCERT FOR A MAZE. Inspired by the American “Book of the Dead” by E.J. Gold, the structure of the performance at Chiaravalle is an interlife journey, the soul state between one reincarnation and the following. Passing through a macrodimensional maze, the soul looks back on what happened during lifetime. Bad habits appear as terrifying and tempting demons who invite us to find refuge in them, taking the risk of getting trapped and not evolving. Two women with their chants, words and sound will bring us though the Labyrinth costructed in the natural rooms of Chiaravalle. As in all labyrinths, we are called to go beyond our limits, to see what looks apparently invisible by saying magical and liberating words. Valentina Grigò e Pamela Larese‘ performances, combine music and theatre. They approach the audience with irony. 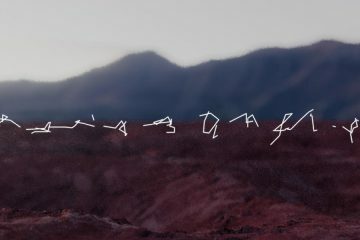 For this project they investigate a philosophical theme, using the voice sound to explore the intricate but still generous and enlightening essence of the maze. Neunau is a research project started in 2015 in Valcamonica. The name is taken from a rock’s cave etching located in Loa, a place of worship since the iron age. The research is developed by studying a sound source to disclose the potential musicality of historical places. The transmission of the sonic landscape of Chiaravalle, various in its environmental and historical elements, will be at the core of the experimentation in the acoustic performance Trasmissione in Quadrifonia that will be held on October 13. Chiaravalle is a place with a generous biodiversity, a laboratory to rethink the idea of a contemporary city. It is a strange place without a square, but with a millenary abbey. The territory is marked by an abandoned railway, farmsteads and public art actions, imaginated and realized by artists, sculptors, sound artist, architects, inventors and birdwatchers who are scketching a new map of Chiaravalle.